Sperry Van Ness is offering at Bankruptcy Auction the Hampton Court Apartments, a midrise apartment complex located in the Bolton Hill Area of Midtown Baltimore, Maryland. The property will go to the highest bidder. The Hampton Court Apartments will be offered for sale at auction tentatively on Wednesday, March 12, 2014, pursuant to an Order of The United States Bankruptcy Court for the District of Maryland. The property, which consists of one commercial/retail space currently 100% occupied, and twenty-eight 1BR, 2BR, 3BR and 4BR residential units which currently are 73% occupied. 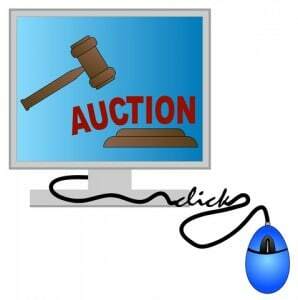 The established Bidding Procedures and Terms provided by the Court require all interested prospects to be qualified bidders for the live auction. As part of those procedures, initial written bids are due two business days prior to the Live Auction tentatively scheduled on March 12th. The website also contains contact information for Sperry Van Ness, the court appointed marketing agent for specific property questions and for scheduling guided property tours. A 1.5% Broker Cooperation Fee is available to licensed real estate brokers subject to court approval. The Hampton Court Apartments, located at 307 – 311 Dolphin Street, Baltimore, MD 21217, represent an opportunity for the investment community to acquire a solid multi-family complex located only 2 miles from Baltimores Inner Harbor. The neighborhood offers an urban setting of tranquility peppered with parks, historic fountains, churches, public buildings and grand monuments that complement the surrounding period architecture. Founded in 1987, Sperry Van Ness is one of the largest and fastest-growing commercial real estate brokerage firms in the industry, with more than 850 advisors in over 150 locations. Based in Irvine, California, the firm operates internationally and provides brokerage, consultation, asset management, property management, leasing, accelerated marketing, and auction services.